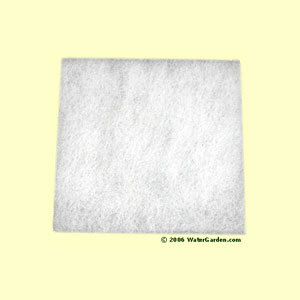 Poly Pad for Pondmaster PM1000, PM2000 Filters (3 Pack). Each pad measures 11-1/2" x 11-1/2" x 1/2". These pads are white on one side (shown in photo) and blue on the other.